A BRAND NEW four bedroom detached house with a 10 YEAR NHBC built by a highly regarded local builder. The property has been built and designed with the greatest of detail and perfection and has also been entered into the NHBC Pride of the Job Award. Some particular points to mention would be the off street parking for two cars, landscaped exterior, large master bedroom with en-suite and the impressive spacious kitchen/breakfast room. 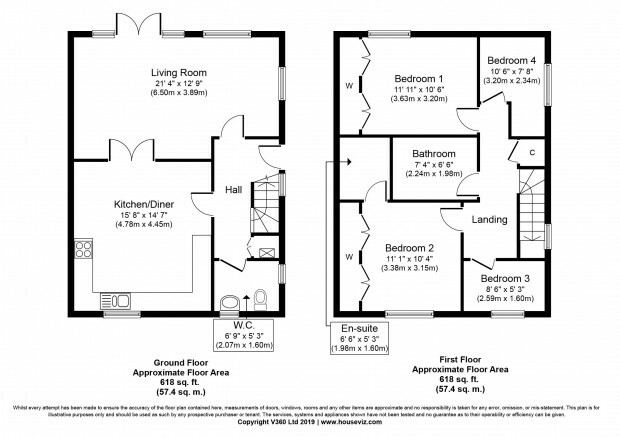 Entrance Hall - Cloakroom - Kitchen/Breakfast Room - Lounge/Dining Room - Four Bedrooms with En-Suite - Family Bathroom. The property will include a fitted kitchen with integral dishwasher and full height fridge freezer, tiled kitchen flooring with the remainder of the house fully carpeted. The bathroom and en-suite will have an attractive lino flooring. The doors throughout will mostly be Oak Dordogne with three quarter glass panel double doors opening from the kitchen into the lounge. Two sets of patio doors then open into the landscaped corner plot garden. Tim Bingham Building Contractors Ltd provides a highly personalised building and renovation service in the Wiltshire and Hampshire area. They pride themselves on offering: •A personal service: Tim Bingham personally project manages every stage of every project, however large or small. •A fanatical attention to detail. The man behind the company, Tim Bingham, is highly skilled with deep-rooted practical and relevant knowledge based on professional qualifications and thirty-year experience of the building industry. The company has recently proudly been awarded the NHBC Pride in the Job Award 2018. What is Pride in the Job? Pride in the Job is the most highly regarded competition in the house-building industry. 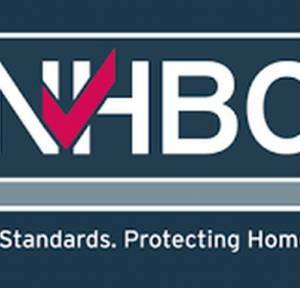 The NHBC awards scheme is dedicated to recognising site managers who achieve the highest standards in house-building. Pride in the Job is the only UK-wide competition dedicated to recognising site managers who achieve the highest standards in house-building. It has been instrumental in driving up the quality of new homes for 38 years. Recognition, reward and reputation A Pride in the Job award is the highest industry accolade a site manager can receive. It represents success for the site manager, their team and associated trades as well providing a reputational boost for the building company. Most importantly, homeowners who buy a Pride in the Job winning home benefit from a high quality product. The property is located approximately 2 miles north of Amesbury within easy walking distance of the heart of the village. Durrington itself is situated to the east of Salisbury Plain and provides excellent local amenities with two public houses, a petrol station, a good range of general stores, Tesco Metro, Co-op, Post Office, florist, veterinary surgery, doctors, dentist and a church. The village also has a primary and secondary school and leisure centre providing gym and swimming facilities along with a recreational ground. The neighbouring town of Amesbury has supermarkets, hairdressers, cafes, hotels and a variety of shops. The cathedral city of Salisbury is approximately 10 miles south with a wide range of educational, shopping and leisure facilities together, including theatre and cinema, with a main line railway station with London Waterloo in approximately 90 minutes. Alternatively the property is within easy reach of Andover and Grateley stations with even quicker journey times. The location offers a good bus service with the A303 situated a mile to the south, giving ideal links to London and the South West.